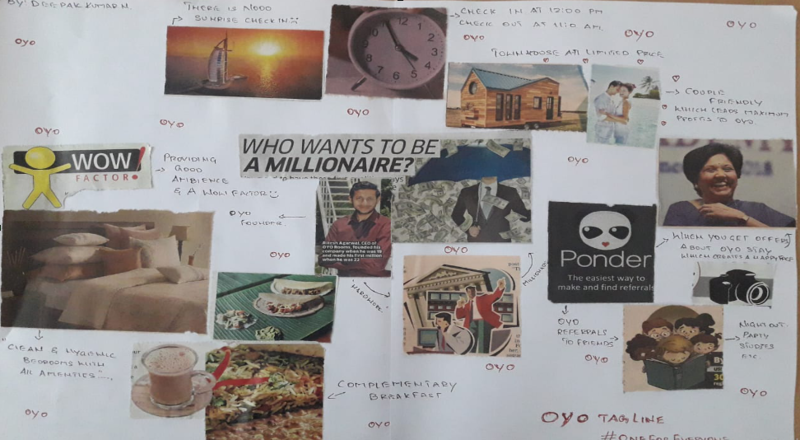 CMR Centre for Business studies conducted a Poster Making activity under the theme “Thinking within the box” to first year students of section ‘A’ and ‘B’ by faculty Prof. Divya Thankom Varghese as part of their curriculum. The objective of the activity is to provide a platform to the students for portraying their creative imagination. 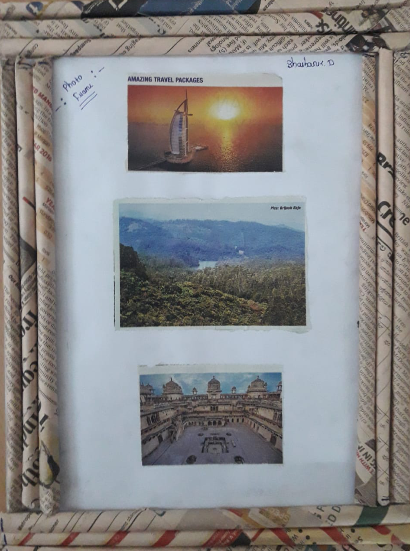 A ‘Creative freedom’ was given to each individual student and had given total freedom to write and picturise any kind of story from the newspaper provided to them. They were allowed to use their hand to cut the pictures from the newspaper and stick on the chart make it attractive. The duration provided to them was 30 minutes and later they had to present their imaginative ideas to the class. 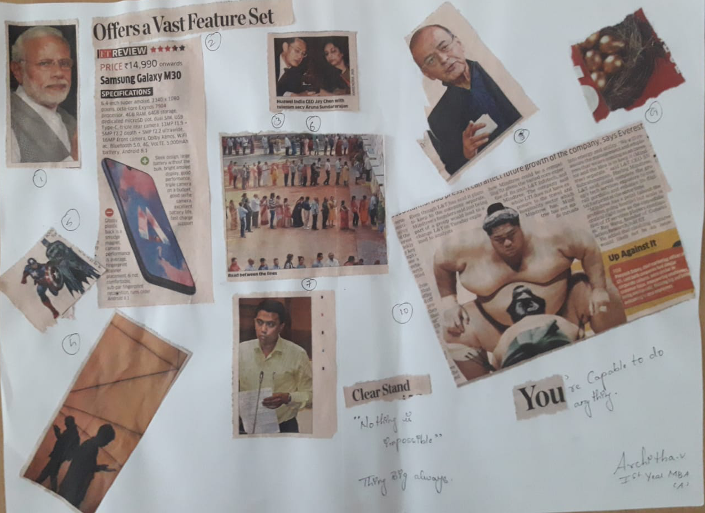 They selected some random pictures and write ups from the newspaper and were listed to establish new combinations to generate new imaginations in a very innovative manner. 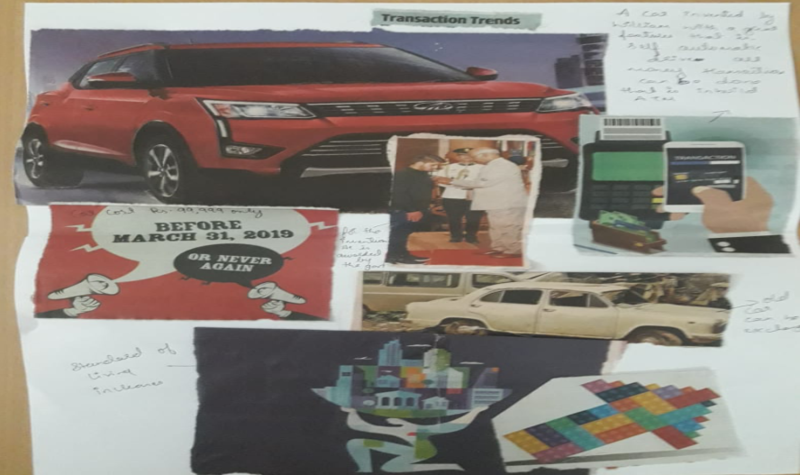 The session was interesting as students came up with lot of imaginations through thinking with the box.